Folding 3 pin plugs - what kind of witchcraft is this? The UK 3 pin plug is a design conundrum. On one hand, its ability to stick to the wall like glue is legendary in comparison to the rest of the world. But the downside is the sheer bulk, not to mention the damage they do to our expensive stuff when wedged into our laptop and DJ bags (and feet when stood on). Well check this out people - pure prototype right now, but I'll happily send them a donation if it helps to clear up the collective clutter that is 3 x 4 and 6 way extensions sat at my feet. This readers, is the best idea I've seen in a very VERY long time. Dragons Den - jump on this now. Firstly, well done to Moto from the US who won last month's inaugural Flud Watches competition. This month sees my favourite of the 6 I have up for grabs - the Gun Metal Tableturns. While I wouldn't wear it myself, I really like the Black Chrome stylings. And just like last month, all I need is an email from you. 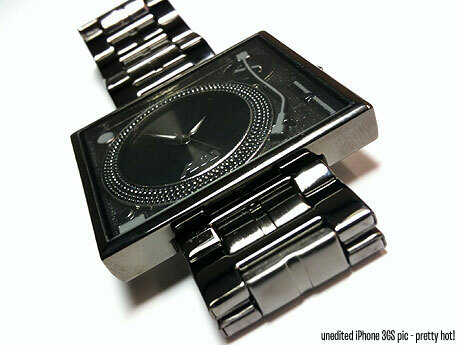 Followers of skratchworx will know that I have long desired one particular item of non-DJ nextlevelness. And last Friday, I finally gave in and joined the cool cats of the iPhone fan club. Yes people - behold the geeky trouser trauma joy that is the 32Gb iPhone 3G S.
Akai's MPC range has long been the accepted face of button bashing, to the point where anything with a set of square pads is almost generically known as an MPC. 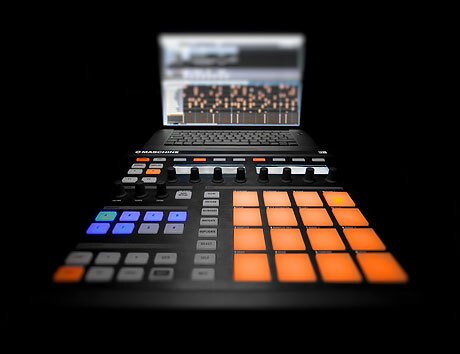 But there's a new player on the scene that aims to loosen Akai's vice like grip around the neck of the beat making scene in the shape of Native Instruments' Maschine. Essentially a MIDI controller, Maschine's huge benefit is that all the work is done inside your computer on a big screen, thus opening up a world of production capability that's not especially workable inside your average small groove box window. Another fresh reviewer in the shape of Chris Cartledge got intimate with Maschine and wrote words and made a video as well. 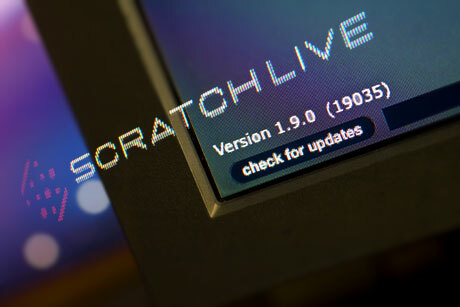 The steady but slow march forward to v2 of Scratch Live hit a milestone last month with the release of the GM version of v1.9. While not radically changing the face of SSL, a handful of key features were added that make it even more attractive to users and buyers, without suffering feature creep. Words come courtesy of new fresh reviewing talent - DJ Bozak casts his seasoned SSL eyes over v1.9. It has been firmly established that from a DJ's perspective, PLASA is pants. But in it's place is The BPM Show, which clearly is not. And despite the global crunch, BPM is moving to a bigger venue - The National Exhibition Centre in Birmingham (again UK, not Alabama) which is better served by road, rail and air. This is happening 3rd and 4th October, and if you feel like being an early bird, you can save �4 on the weekend ticket price - that's �8 instead of �12. It's nice to know that when I write reviews, a lot of people read them and some actually act upon my unfocussed ramblings. 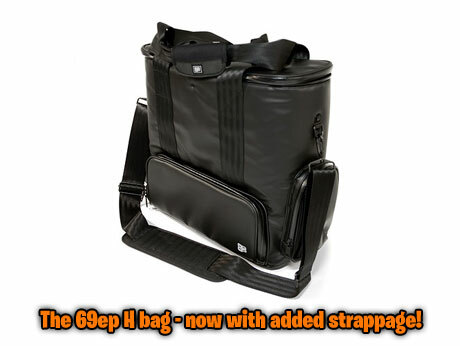 So when I laid my bag-loving hands on the 69ep h bag, I expressed on one hand my love for the minimalist stylings and extreme quality, but constructively and very politely opened both barrels on the lack of shoulder straps. 69ep clearly heeded my words (plus those of others I suspect) and made the necessary changes. While skratchworx started its life as a turntablist focussed gear site, that niche expanded almost from day 1 into an all encompassing generic DJ gear news and reviews site - and with this expanded portfolio comes a whole different set of products to look at. One such area of product is digital audio workstations or DAWs for short. New reviewing blood Flexinoodle has been test driving Cockos' Reaper v3 through the beta cycle right up to the final release and pulls no punches in his opinion. And bugger me if we don't have a copy to give away as well. Double whammy! 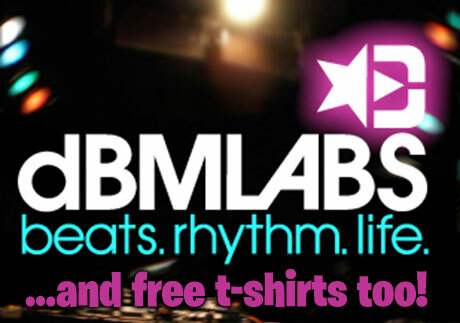 COMPETITION: Win DBM Labs swag! DBM Labs are a company with a vision, part of which is "building upon those who turn their passion for music into a lifestyle". So considering that's what I did when I started skratchworx, I guess that means they're supporting me. And in a bit of mutual backslapping, DBM Labs have offered up some of their somewhat delectable t-shirts for you lucky readers. 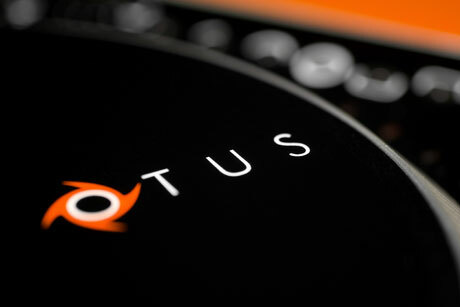 Yet another example of "just wait for the next release it's sooo much better" problem with reviewing technology has been the epitome of nextlevelness - EKS's OTUS MIDI controller. I've had it since Christmas, and revisited the review a couple of time with each new firmware upgrade or software release. But with the last release, I drew a line under my writings and have released the review for public consumption. Welcome to last week. 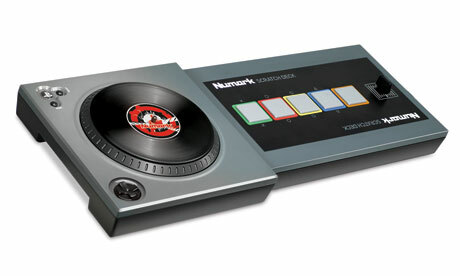 That's when the world saw the first renderings of Numark's scratch deck controller and learned a little more about the new game from QD3 and Numark called "Scratch - The Ultimate DJ". Having already established that this type of game does nothing for me at all, and that my blessing is hardly going to make or break a game, I was livid to read about Activision's latest marketing for their competitive and still litigious DJ Hero game. If there's one product that it's fair to say I've overlooked it's Virtual DJ. The reason for this is quite simple - no Mac version for a very long time. V5 came, crashed my Mac a lot and ended up in the trashcan. But V6 is here, with a heap of bug fixes, but importantly a truckload of new stuff as well.